The common raccoon (Procyon lotor) is probably best known for its mischievous-looking black face mask. Raccoons are usually a grizzled grey in colour with a tail marked by five to 10 alternating black and brown rings. Body coloration can vary from albino, (white) to melanistic (black) or brown. An annual moult, or shedding, of the fur begins in the spring and lasts about three months. A raccoon is about 80 centimetres in length and weighs between 6-8 kilograms. 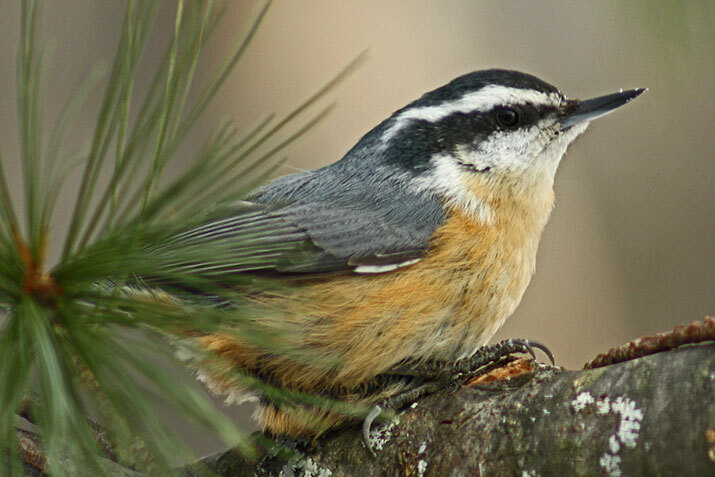 Red-breasted Nuthatches are small birds reaching about 4.5 inches in length with a thin black bill and short tail. They have a black and white striped head, white throat, grey back and rust-coloured belly. The red-winged blackbird is a medium-sized song bird, ranging in size from 17 to 23 centimetres, with a very distinct call. Males are a sleek black colour with bright red patches on the tops of their wings. These red patches are called epaulettes and are sometimes less visible while the bird is perched, when it only shows the slight yellow band found below the red epaulettes. 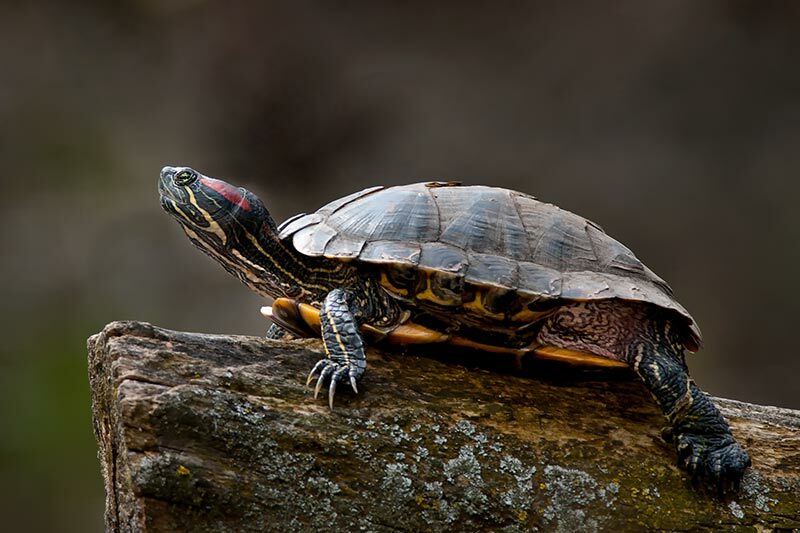 Young males are often a dark brown colour and appear as if they are molted before they mature; however, they still retain the red patch on the shoulder. Females are less distinctive with their brown- and white-striped backs and white- and brown-striped abdomens. Their colouring often causes them to be mistaken for other species of blackbird or sometimes for sparrows. 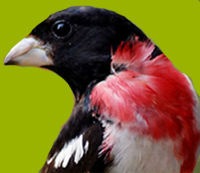 With most birds, males are more brightly coloured, and this holds true with the rose-breasted grosbeak. The males are the most attractive with black backs and heads, white rumps and bellies and rose triangular patches on their breasts. The females, however, are not as conspicuous. Females have brown streaking on both their pale under parts and darker backs. Rose-breasted grosbeaks are said to have one of the prettiest calls. It is comparable to that of the American robin but with a more melodic sound. Approximately 9–10 cm long. 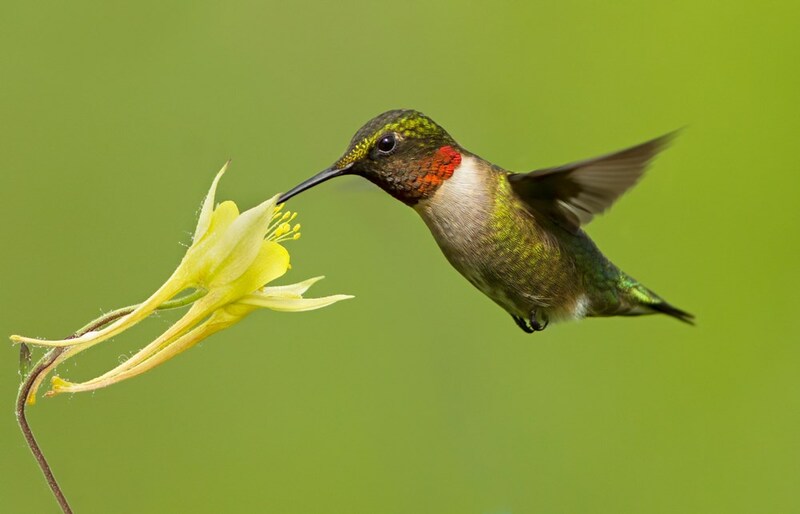 Adult males are metallic green on the upperparts, iridescent ruby red on the throat, white on the underparts and green along the sides. Adult females look similar to males but with a white throat, greyish belly and buff along the sides of the belly, sometimes with a little red on the throat. Immature males look similar to females but with red streaks down the throat. Approximately 9.5 cm long. Adult male upperparts are mainly reddish-brown with dull green on the top of their head and a white patch behind the eyes. 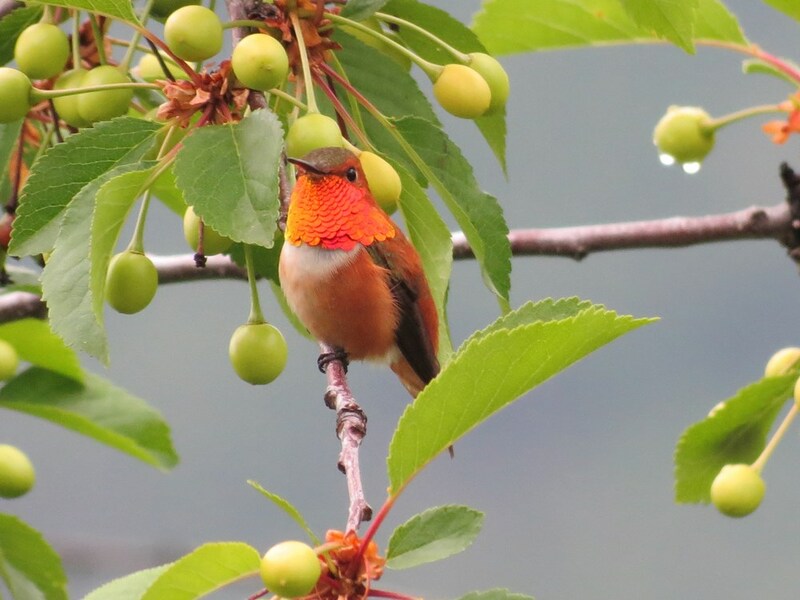 Their throat is iridescent orange-red and has white at the top of their breast and parts of the belly; the rest of its underparts are reddish-brown. Adult females are similar to males but paler and greener; their throat is white with dark and/or iridescent spots of orange-red. Immature birds resemble the females, but immature males start to show reddish-brown upperparts before their throat colours develop. Adult wingspan approximately 2–3 cm. 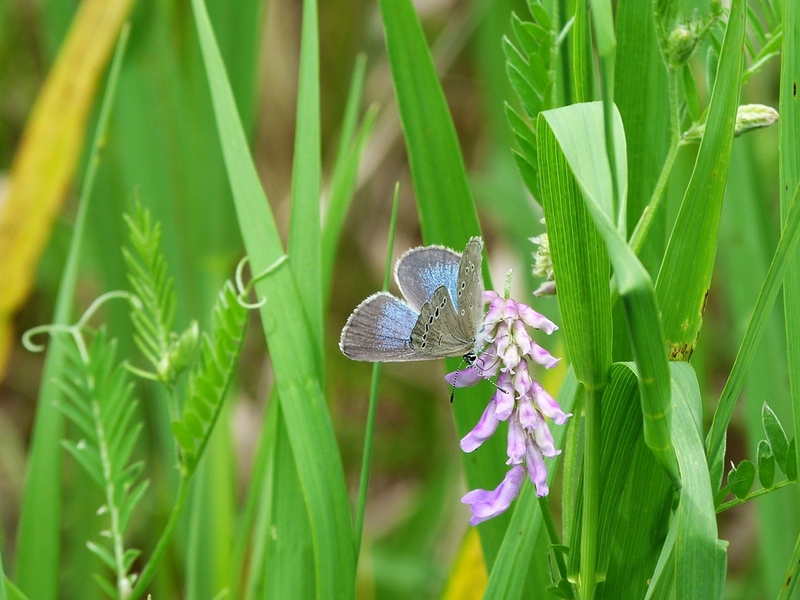 Adults (butterflies) have a light blue upperside with a thin, light grey border and a dark grey border within that. The dark grey border in the female is wider and fades into a pale blue to varying degrees. Their underside is grey with one row of black white-rimmed spots on both the forewing and hind wing. The snowshoe hare one of our commonest forest mammals, is found only in North America. Well-adapted to its environment, the snowshoe hare travels on large, generously furred hind feet, which allow it to move easily over the snow. The snowshoe hare’s ears are smaller than most hares’. The ears contain many veins, which help to regulate body temperature. 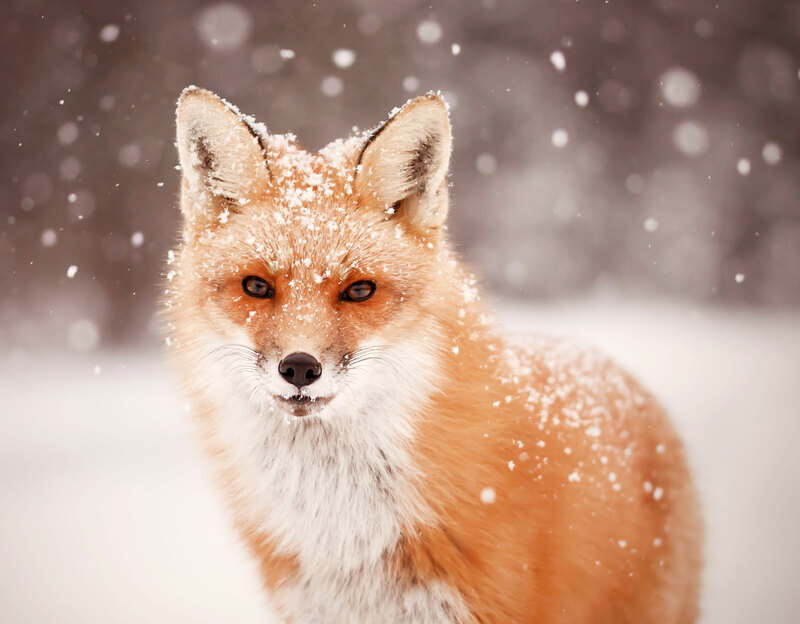 A seasonal variation in fur colour is another remarkable adaptation: from grey-brown in summer, the fur becomes almost pure white in midwinter.